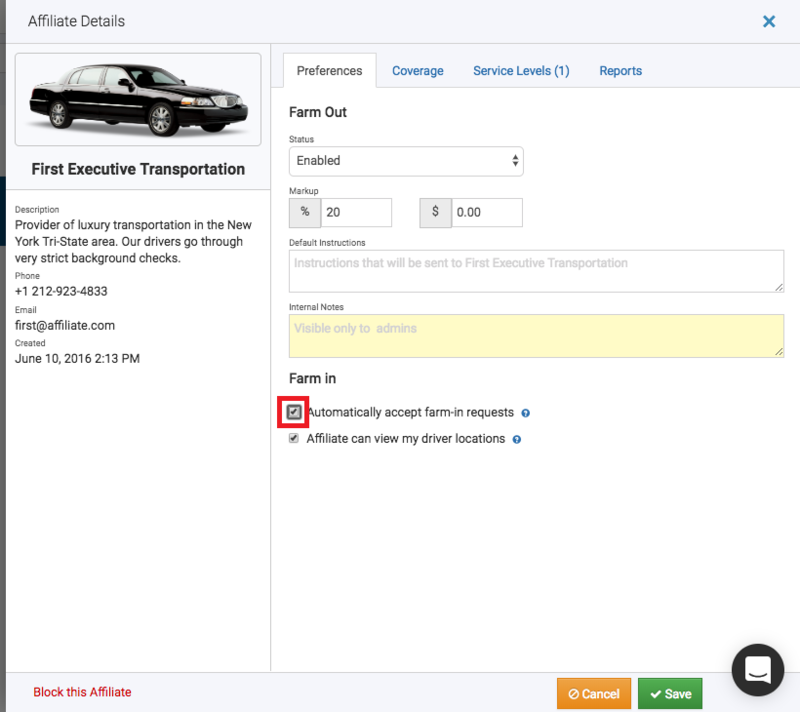 Auto Farm-out is a feature that will allow Dashride users to seamlessly send rides out from their dispatch to an affiliate, as long as the rides pick up address falls under the determined affiliate's coverage zone. 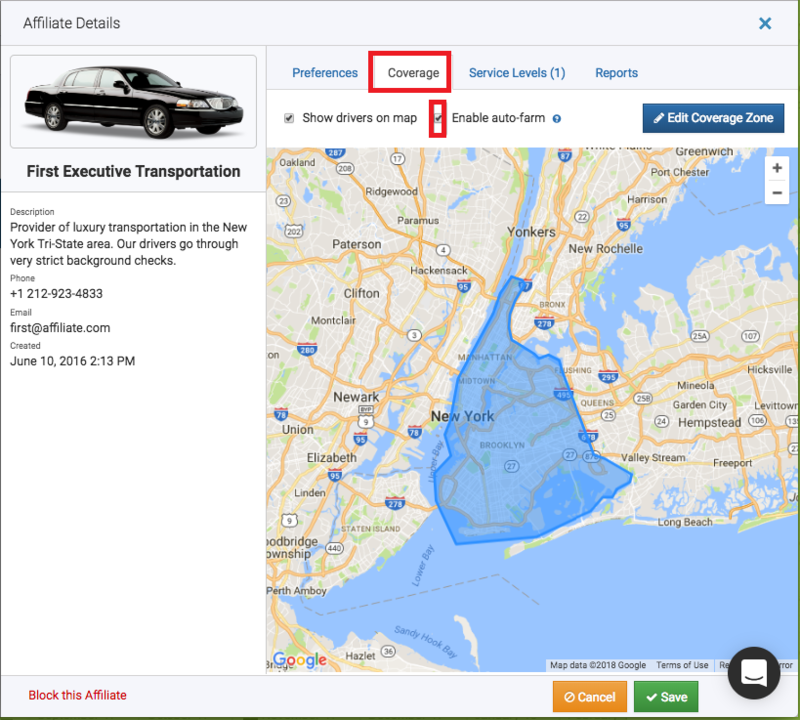 To begin using the Auto Farm-out feature, you must have your own coverage zone set. You can do this by going to 'Settings' > 'Company Details' and then to 'Coverage Zone' which is located under 'Affiliate Network'. Next, you will need to edit your 'Farm-out Preferences'. This is located under 'Affiliate Network', right below the 'Coverage Zone' section. Under 'Set ride pricing by', click the drop-down and select 'using my own rates'. You then have to select if you would like to automatically farm out trips 'if outside my coverage zone' or 'always'. Be sure to click 'Save Changes'. Next, you will need an active affiliate. and check off 'Enable auto-farm'. As mentioned, the affiliate needs their own coverage zone, if they have not set up their own coverage zone, you can draw one up for them by clicking on 'Edit Coverage Zone'. You will be able to add pre-existing zones you have created, edit the zone they drew to limit the coverage area you want them covering, or create a new zone. If you'd like to automatically receive farm-outs from that affiliate as well, you can enable 'Automatically accept farm-in requests' under the affiliates preferences tab.